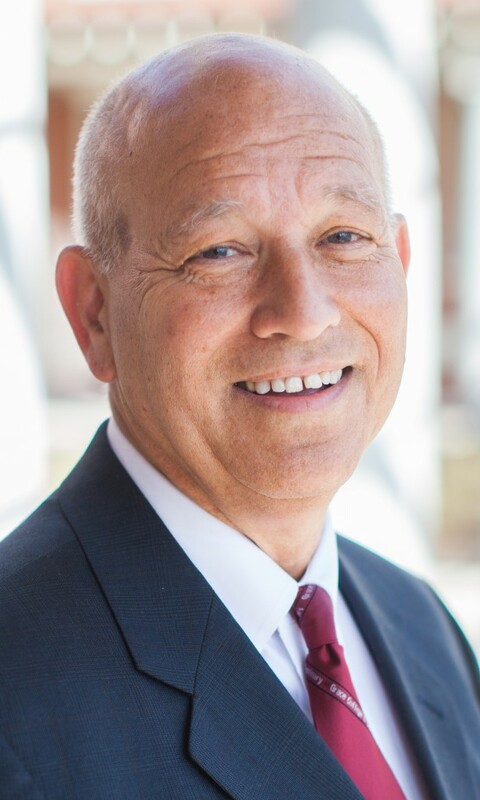 Dr. Ron Manahan, president of Grace College and Theological Seminary, Winona Lake, Ind., has announced that Commencement 2013 (May 11) will conclude his 20 years as president. Provost Dr. Bill Katip accepted the role of president for the institution following graduation on May 12, 2013. Dr. Manahan began his service to Grace in 1977 and has served as president since 1994. His visionary leadership helped advance the institution through the development of new programs, the construction of new facilities, the expansion of global outreach and increased tuition affordability for students and families. Because of the efforts of Manahan and his leadership team, enrollment has more than doubled and is currently at its highest in history. Manahan’s first position at Grace was as the chair of the division of religion and philosophy. In 1982, Manahan received the Grace College McClain Award for Excellence in Teaching and in 1985, became the assistant academic dean. Two years later he served the college as the vice president for academic affairs and in 1990 became Grace’s first provost. Manahan’s vision was to involve Grace College & Seminary in the local communities, which resulted in the renovation of Westminster Hall in 1996 and the building of the Orthopaedic Capital Center in 2007. He was also a key initiator and facilitator in working with BioCrossroads on the grant from the Lilly Endowment resulting in OrthoWorx and the Orthopedic Capital Foundation. Additionally, Manahan oversaw the purchase of Mount Memorial Hall and the building of Kent Hall, Indiana Hall, Gamma Nu and the Gordon Student Recreation Center. During his tenure the Prison Education Program greatly expanded, and the Distance/Online Education Program and the Korean Studies Program began in 1996. The Water Quality Project (KLAS) launched in 2007 and the Degree Completion (GOAL) Program in 2009. More recently, Manahan helped implement the ORCA program (the Graduate Program for Orthopaedic and Regulatory Affairs) and the Henry and Frances Weber Schools (multiple locations). He also has helped engineer collaborations with CE National for Youth Ministries, Bethel College for Nursing, GBIM (Encompass World Partners) for a D. Min. in Central African Republic and Trine University for Engineering. He also formed collaborations with Ancilla College (GOAL Program) and the Christian University Global Network (online MA in ministry). During Manahan’s presidency, Grace received several professional accreditations in counseling, business, teacher education and theology. Because of Manahan’s leadership, Grace College was one of the few public or private universities nationally to develop and offer a three-year degree program for all its majors. Grace’s program innovation attracted the attention of Congress, state legislators and national media. In 2011 Manahan represented Grace Schools nationally and championed higher education affordability and transparency to the Congressional Subcommittee on Higher Education and Workforce Training in Washington D.C.
Manahan has also served on the board of directors of Kosciusko County Chapter of the American Red Cross, Committee to Commemorate Dr. Martin Luther King, Jr., Inc., Foundation Ministries Inc., Lakeland Christian Academy and Symphony of the Lakes. He currently serves on the board of directors of Kosciusko County Community Foundation, OrthoWorx and the Orthopedic Capital Foundation. Additionally, Manahan has served on the board of Independent Colleges of Indiana (ICI), the Council of Christian Colleges and Universities (CCCU) and on the Accountability Committee of the National Association of Independent Colleges and Universities (NAICU). He was awarded the Winona Lake Bill Reneker Memorial Community Service Award in 2000 and named the Warsaw/Kosciusko County Chamber of Commerce Man of the Year for 2010. Katip brings 39 years of higher education experience to the presidency and has been invaluable in guiding Grace Schools through many innovative changes since 2007. “We will continue to grow and adapt,” said Katip. “But as always, there will be no change in our mission, core beliefs and dedication to Scripture.” Katip earned his B.A. in Bible and Psychology from Grace College, M.S. in Clinical Psychology from Purdue University and Ph.D. in Higher Education Administration from Michigan State University. Katip is a member of the Breakfast Optimist Club, currently sits on the board of directors for the Kosciusko Economic Development Corporation (KEDCO) and is a member of the Strategic Advisory Board to OrthoWorx in Warsaw, Ind. Grace College and Seminary is an evangelical Christian community of higher education that is affiliated with the Fellowship of Grace Brethren Churches. It offers undergraduate and graduate degrees and applies biblical values in strengthening character, sharpening competence and preparing for service. Grace College also offers flexible online graduate degrees, on-campus and online degree completion programs, and highly affordable, easily accessible two-year degree programs in Fort Wayne and Indianapolis. The 180-acre main campus is located in the historic resort town of Winona Lake, near Warsaw, Ind. So great to hear the news here. Thanks for posting. Great news! May God bless you, brother, as you assume this important position of leadership.